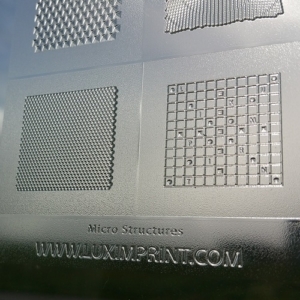 The LUXIMPRINT database contains LUXIMPRINT-specific know-how and software especially developed for the LUXIMPRINT products and services. Both cannot and must not be transferred to other products, since otherwise it might lead to undesired and hazardous conditions due to products or systems. As registered user of our online offer you have the possibility to download software, licenses and Plug-Ins, technical documentations and further instructions of our product range and services. By your consent to use and store your personal data, we will be able to inform you on optimizations or modifications to these sensitive data in future in order to protect you against possible economic loss caused by obsolete software, etc. Use of the download sections of the website www.luximprint.com is unlimited with regard to room and time and is subject to the below conditions of use which are accepted bindingly with registration for the download offer. LUXIMPRINT v.o.f. is liable for the contents of our website according to the legal provisions. Liability claims against LUXIMPRINT referring to material or immaterial damage caused by the use or non-use of the given information or by the use of faulty and incomplete information are excluded, unless deliberate or negligent default of LUXIMPRINT can be proven. Any data of the online offer are unbinding and subject to confirmation. LUXIMPRINT expressly reserves the right to modify, supplement or delete parts of the pages or the whole offer without further notice or to stop the publication partly or completely. LUXIMPRINT is not liable for the accessibility of our website via the internet or a technical failure of the internet. All trademarks, protected by a third party or not, mentioned in this internet offer are subject to the regulations of the trademark law in force and the possessive rights of the relevant registered owners. If you download files from this internet offer, the use of the programs/scripts out of the download index is at your own risk. We are not liable for any possible damages to EDP systems, etc. LUXIMPRINT reserves the right to modify these conditions of use on occasion and to adapt them to technical and legal changes. The use of the website www.luximprint.com of LUXIMPRINT as well as the General Terms and special conditions of use are subject to the law of The Netherlands. This exclusion of liability is to be understood as part of the internet offer from which you were referred to this page. As far as parts or individual wordings of this text do not, no longer or not completely correspond to the legal situation, contents and validity of all other parts of the document remain untouched. In case individual terms of these conditions of use are not or partly not legally effective or lose their legal effectiveness later, contents and validity of all other parts of the document remain untouched. In case you have the possibility to enter personal or commercial data (email-address, company, name, address) within our internet offer, the disclosure of such data on the part of the user takes place on an explicitly voluntary basis. We make a point of protecting your personal data during collection, treatment and use on the occasion of your visit to our homepage. Your data are protected within the scope of the legal provisions! Each access to our homepage and each calling up of a file stored on our homepage is logged. The storage is effected for internal system-related and statistical purposes and to be able to inform you in case of optimizations or modifications to sensitive technical data. In case of registered users the following information is logged: surname and first name, company, email address, name of the file called up, date and time of the call-up, transmitted data quantity, report on a successful call-up, etc. Additionally, the IP addresses of the inquiring PCs are logged. As far as you have provided us with personal data, they will be used only to answer your inquiries, to settle the contracts concluded with you and for technical administration. Your personal data will not be passed on to a third party or otherwise. You have the right to revoke a given consent any time ex nunc. The personal data stored are deleted if you revoke your consent to a storage, if there is no need any more to keep the data stored or if the storage is inadmissible for other legal reasons. If you want to receive the newsletter offered at www.luximprint.com, we need from you a valid email-address and information for us to check whether you are owner of the indicated email address or whether the owner agrees to receiving the newsletter. Further data are not required. Your agreement to store the data, the email address and to use it to send the newsletter can be revoked any time. On written request we will be pleased to inform you on your personal data stored within the scope of the legal right to information. Information on the stored data will be given by our commissioner for data protection (marketing[at]luximprint.com). All information you send us, by email, for instance, are treated strictly confidential and will under no circumstances be passed on to an unauthorized third party. Your data are stored electronically in our company in order to keep you informed about news from LUXIMPRINT. When contacting us, you might be asked to give personal information. You are free to answer these questions or not. Your personal data will be stored and treated according to the Dutch data protection regulations. We reserve the right to make technical and formal modifications to our products and/or services if they are meant to improve the products or take into account changed regulations. On request, we will be pleased to provide current data. All quotations are subject to confirmation and without obligation. LUXIMPRINT expressly reserves the right to modify, supplement, delete or discontinue part of the pages or the complete offer at times or finally. The copyright for all contents of www.luximprint.com is held by LUXIMPRINT v.o.f., Wemeldinge, The Netherlands. All illustrations as well as the design of the web site of LUXIMPRINT are subject to the protection of copyright and other protective laws. The contents of this web site must not be copied, disseminated, modified or made available to a third party for commercial purposes. Duplication of any kind is not allowed without our express and written consent. We herewith inform you that our web sites may contain pictures which are subject to a third party’s copyright. Please contact us if you intend to use contents of our internet presentation outside our internet presentation. The illustrated brands are registered, protected brands (trademarks). This especially applies for type descriptions, logos and emblems. This web site was established with utmost care. Despite all this we can take no liability for correctness and accuracy of the information contained. We exclude any liability for damage and consequential damage to hard- and software resulting directly or indirectly from using this web site and the data provided, as far as there is no provable, willful or negligent fault on the part of LUXIMPRINT. Downloading of files is done at your own risk. We take no liability for damages resulting directly or indirectly from downloading or use of these files. We would be grateful if you let us know about any mistakes you may come across in this web site. We thoroughly selected internet pages outside LUXIMPRINT in order to give you interesting information, e.g. on our business partners. Since these internet pages are operated by third parties, LUXIMPRINT takes no liability for their contents. Legal indications are subject to Dutch law and are construed in accordance with Dutch law. The Dutch courts have exclusive jurisdiction with regard to any claims or proceedings and/or settlement of any disputes resulting from or in connection with these legal indications. For this purpose each of the parties irrevocably submits to the jurisdiction of the Dutch courts. Place of jurisdiction is Middelburg, The Netherlands. Alterations to these agreements must be made in writing and must be signed by an authorized representative of LUXIMPRINT v.o.f. As far as individual parts or wordings of these conditions should not, no longer, or not completely correspond to the applicable law, the remaining provisions or wordings remain unaffected with regard to contents and validity. By use of these information you accept the foregoing conditions as binding.